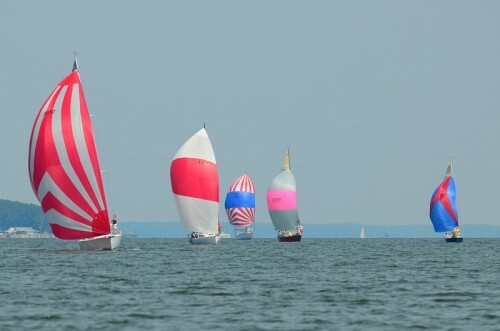 I sailed the FBYC Cut Channel Race aboard Excitation this year and the race had a bit of a twist to it: boats could sail clockwise or counter-clockwise around the same 31nm course. 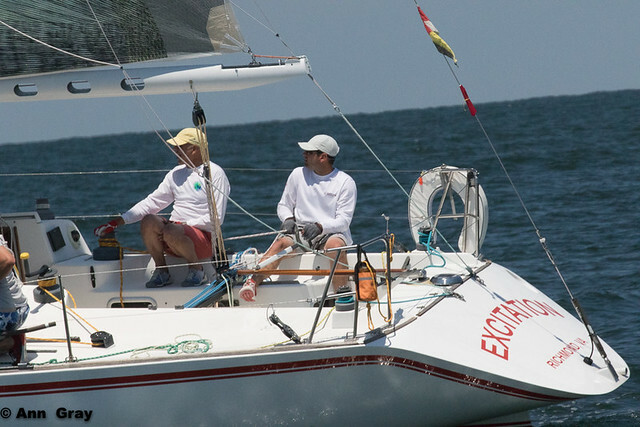 We were among the boats that had read the SI’s earlier in the week and not gotten the memo that it changed the night before until we figured that out about 5 mi into the race and by then it was too late to be competitive. It was still a beautiful day to sail across the bay and thanks Mayo for having me along. 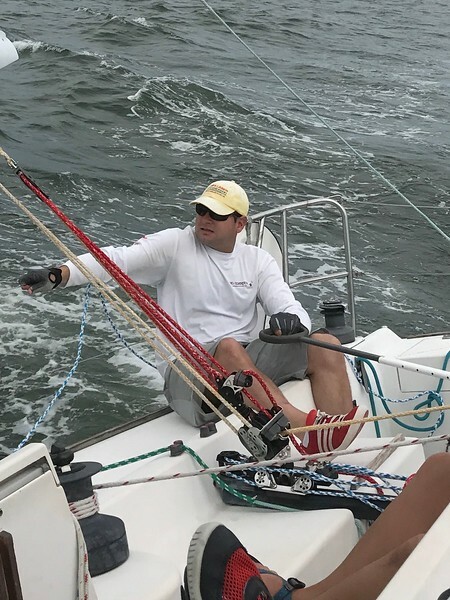 Saturday was the Cut Channel Race at Fishing Bay Yacht Club and I was aboard Double Eagle with Sam Mitchener and 7 others for the race. 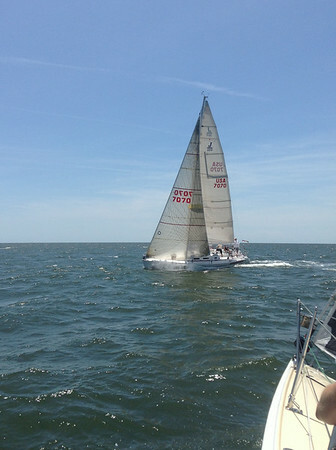 We couldn’t have asked for much better weather with 10-20 knots out of the East with sunny skies for the 29nm course. 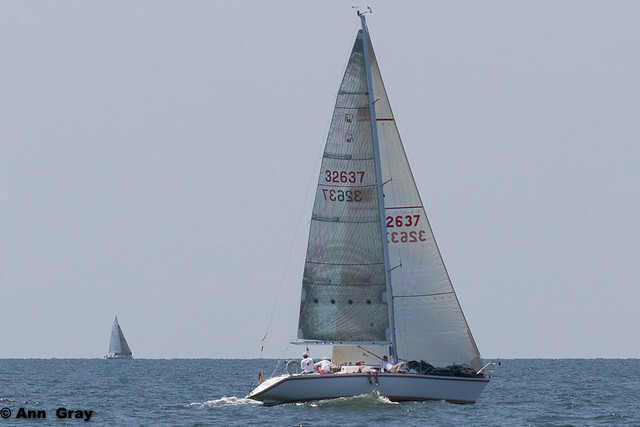 We were among 2 other boats in the PHRF-A fleet and 18 total boats in the race. We had a good start down by the pin right alongside the other J-109 Afterthought. The first half of the race was a beat and for the first 2 miles Afterthought inched ahead of us to where they were 5 lengths ahead of us as we turned around C and headed for mark L. As the wind built we had a better sail selection and a little more weight and were within a couple boat lengths by the time we got to L.
From mark L we kept going south while Afterthought tacked and went North as we both made our way east across the bay to mark Q. 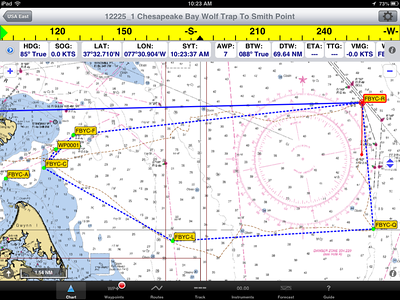 The current made all the difference pushing us closer to the mark and we were .8 mi ahead at Q. 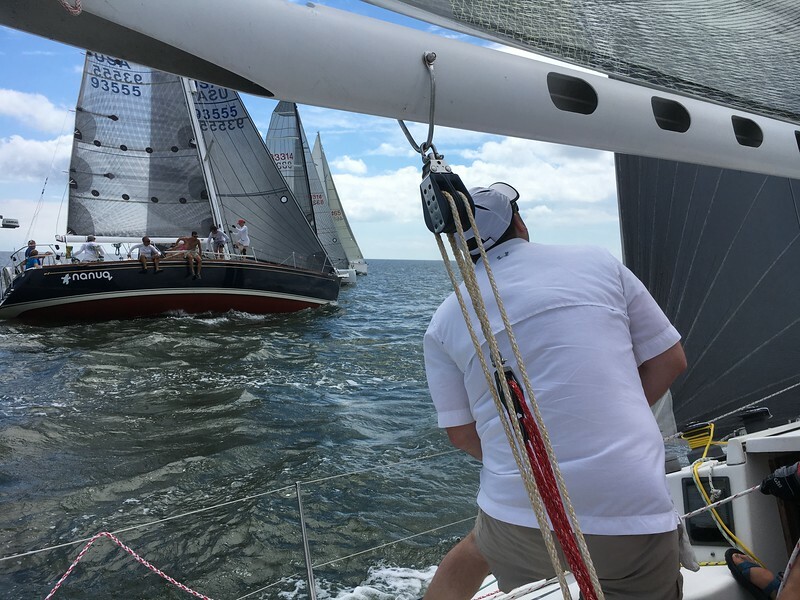 As the wind eased and the conditions began to favor Afterthought for the 2nd half of the race they chewed some of that back and we crossed the finish line with a 3:15 minute lead and won our class and had the fastest corrected time of the whole fleet. I ended up driving upwind and the reach for about 40 minutes which was good to give Sam a break and to see how the sails were affecting the trim. 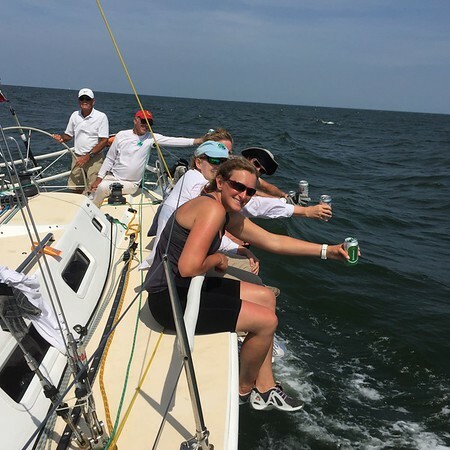 Mayo, Bonnie, Ed, Matt L, Chris T, Holly F sailed well together and were fun to sail with. All in all it was a good race and a good result – putting Double Eagle into contention later this year for the long distance series. 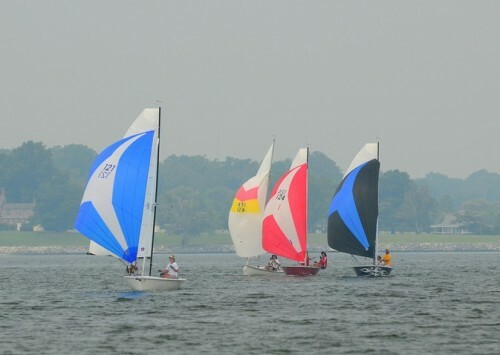 Saturday’s Cut Channel Race at Fishing Bay Yacht Club had a bit of everything from the weather. Light air, heavy air, storms, chop, smooth seas, etc. 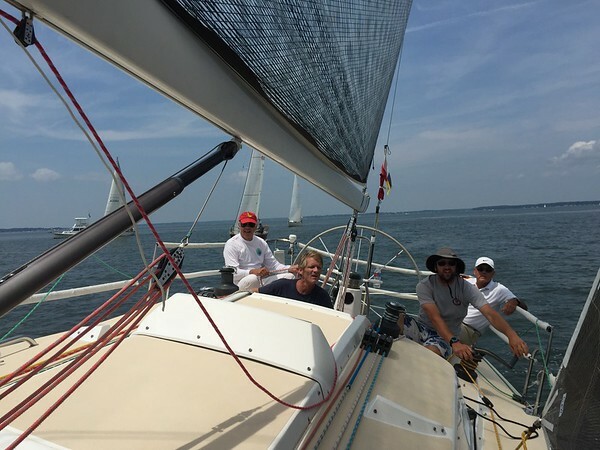 Lud Kimbrough, Mike Karn and I sailed the J/70 Nostalgia in the PHRF-B fleet of 6 boats out of 15 total for the race. The race took us south and east and then due east across the bay before heading north up the shipping channel and back to the Piankatank. 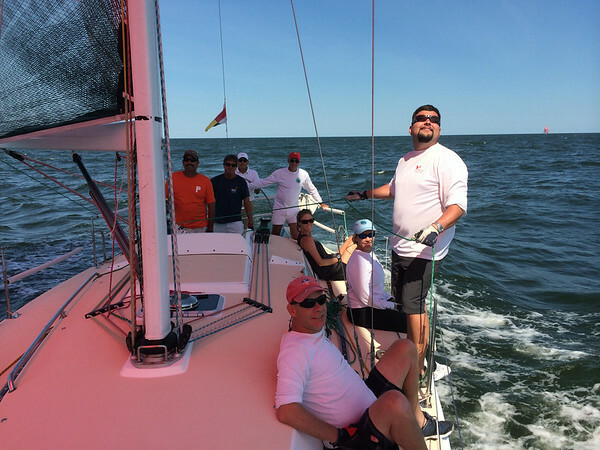 We had a great start and did well on the first upwind and reaching legs. 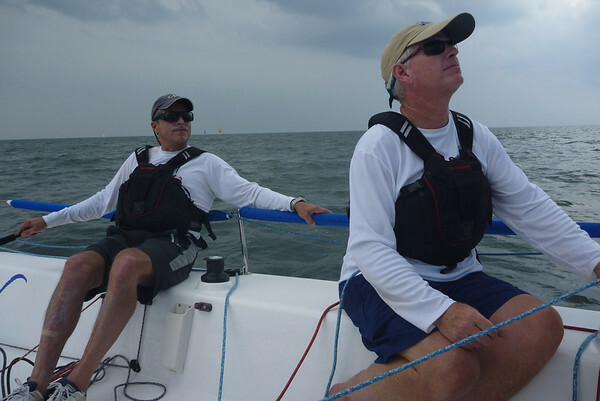 On the 2nd downwind leg out to the channel we made a bad bet on the weather and fell back into the fleet. After rounding the channel marker to head North we could see storms in the distance but with being so far out into the bay we didn’t have reliable cell service to check the weather. 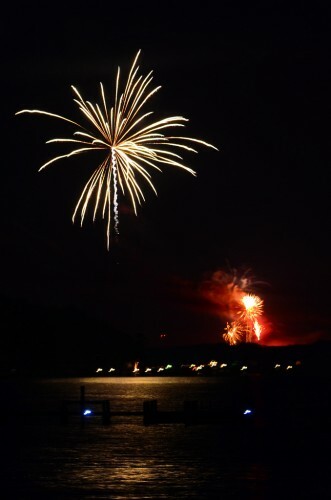 We donned our life jackets and battened down the hatch – we really did this – and prepared for some weather. 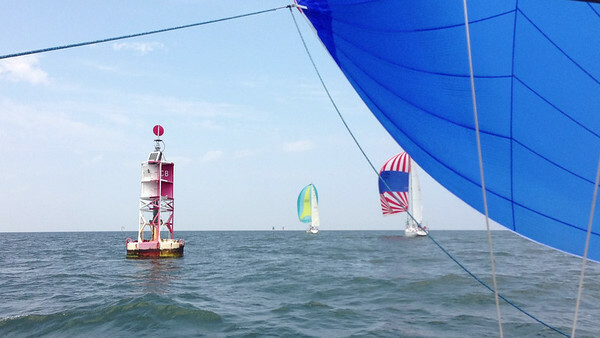 We were also monitoring VHF 16 instead of the race channel so we could hear ships coming up the channel, etc so we didn’t hear any race announcements that the race was being shortened at the next mark. Most of the storms stayed away and we could see lightning in the distance. One frontal system did come through and as the wind hit the boats behind us, we quickly executed our emergency chute down procedure to get it in the boat just before we were hit with a 25-30+ knot gust. 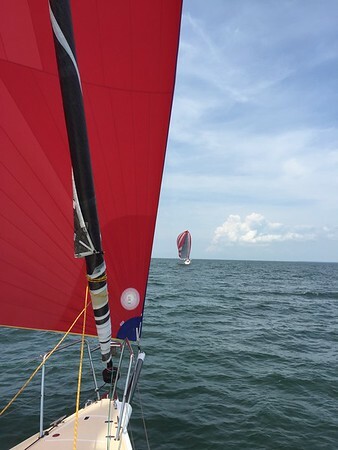 We rode out the rest of the leg under jib and main still making 6 knots and as we approached the mark we saw Mr. Roberts there and saw the race was being shortened. 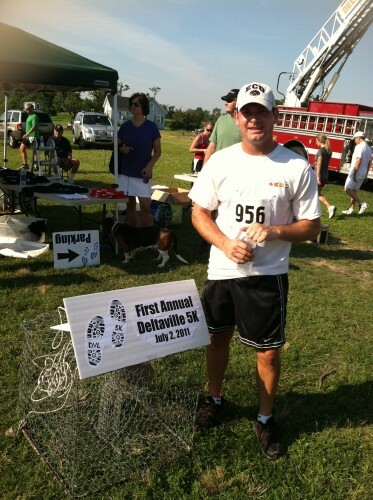 We didn’t save our time, but we had fun and got to try something different on a boat none of us had ever done a distance race with. 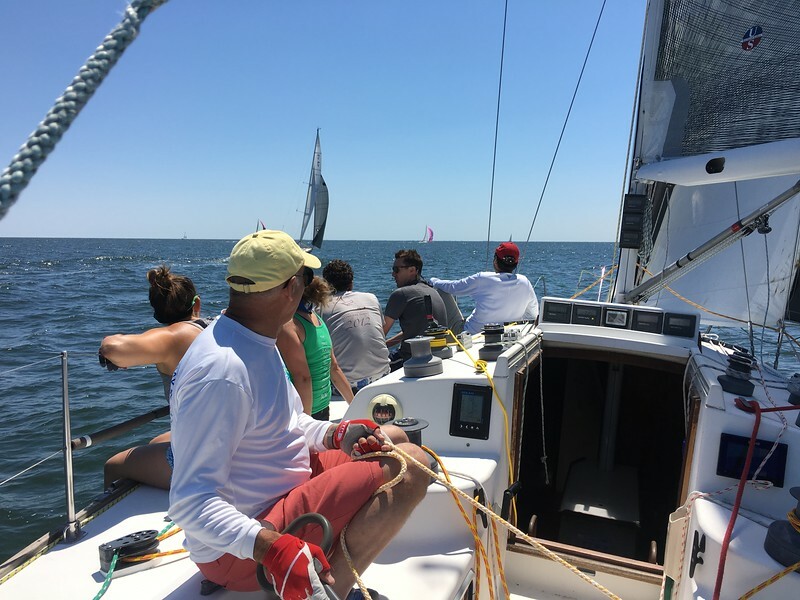 Unfortunately for us, we finished at the farthest point of the course from home, which meant we still needed to sail upwind back home. We definitely didn’t have enough fuel aboard to motor the whole way, plus the boat goes faster under sail anyway. 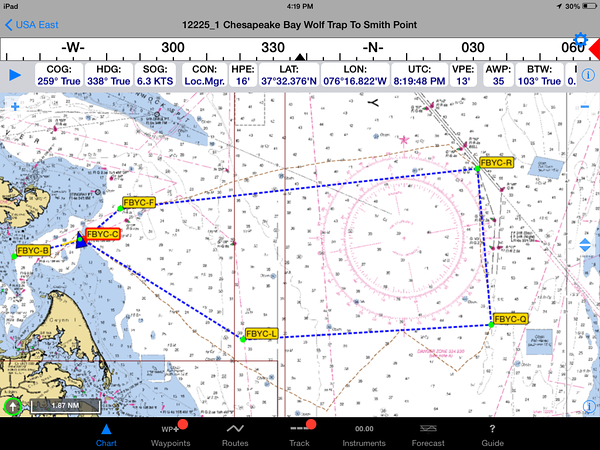 2 1/2 hours later and after narrowly dodging another squall line and motoring from about 6 miles offshore once the wind died, we made it back to FBYC.